Mark Von Thaden of California decided to make some renovations to his pool house this week. But, much to his surprise, he soon discovered that someone else had actually been hard at work there already. Turns out, a diligent bird had renovated the structure to be a storeroom for his snacks. 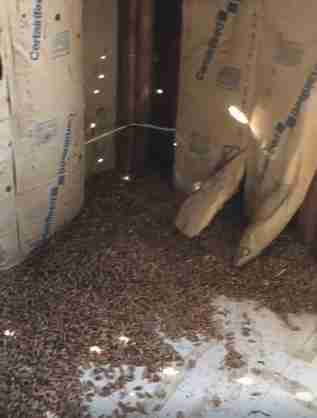 While peeling back the insulation lining the walls, Von Thaden unwittingly unleashed a seemingly endless torrent of acorns — evidently, the hard-earned bounty of a local woodpecker. And, sure enough, mighty messes from a ton of little acorns grow. It's apparent from this video Von Thaden shot that he was less than pleased. As annoying as it must have been for Von Thaden to clean up all those acorns, the woodpecker who amassed them there was probably a bit miffed about it as well. 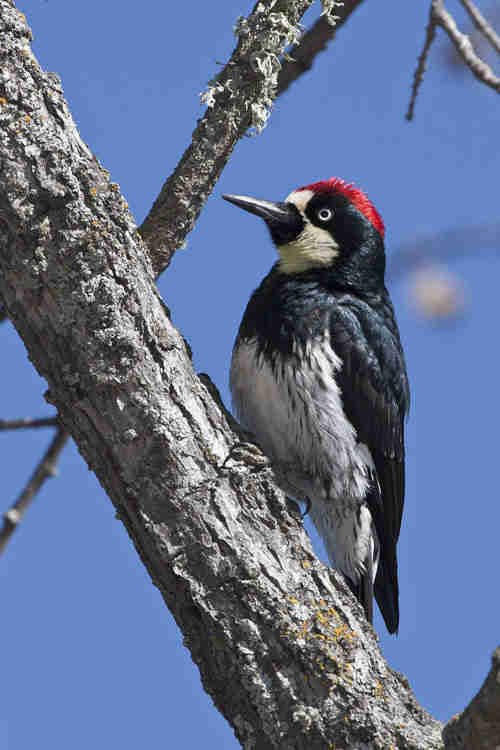 Woodpeckers typically use their beaks to bore holes into solid wood, then jam in food that they can grab later on. In this instance, however, it seems the sides of Von Thaden's pool house were hollow — so the hoarded acorns probably all fell out of the bird's reach. But to the woodpecker's credit (albeit understandably irksome to Von Thaden), he clearly kept on trying. If this woodpecker has a sense of humor, perhaps his labors weren't entirely in vain. In fact, we can almost hear him laughing now.